A person can be born in Germany but go on to live almost a half of his life in Russia, learn the language and work in the toughest parts of the country, beyond the Polar Circle. 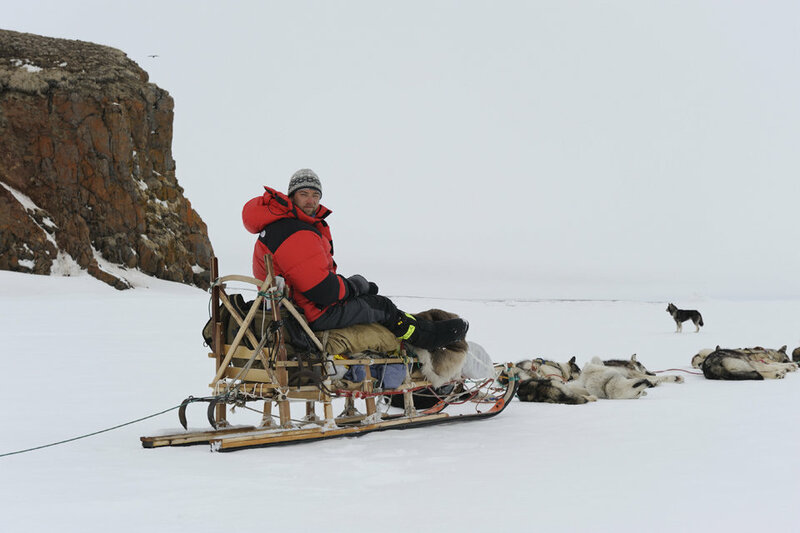 German researcher, journalist, photographer and mountaineer Steffen Graupner spends half the year in the Arctic. He has climbed mountains in Central Asia, Afghanistan, South America, Indonesia, and Eastern Africa including Muztagata (75468m), Lenin Peak (7134m), Aconcagua (6961m) and Ojos del Salado (6893m). Russia came next, with travels to Kamchatka, Chukotka and Franz Josef Land. 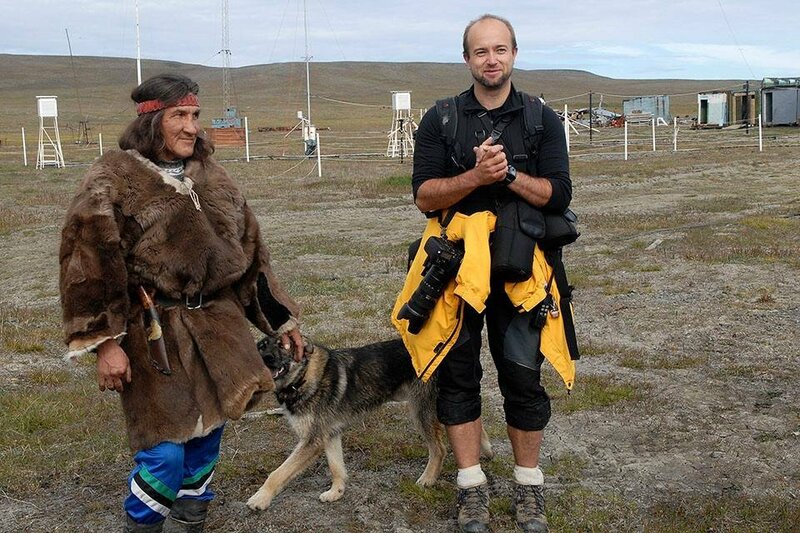 Arctic.ru publishes a story by Rossiya Segondnya correspondent Vera Kostamo. 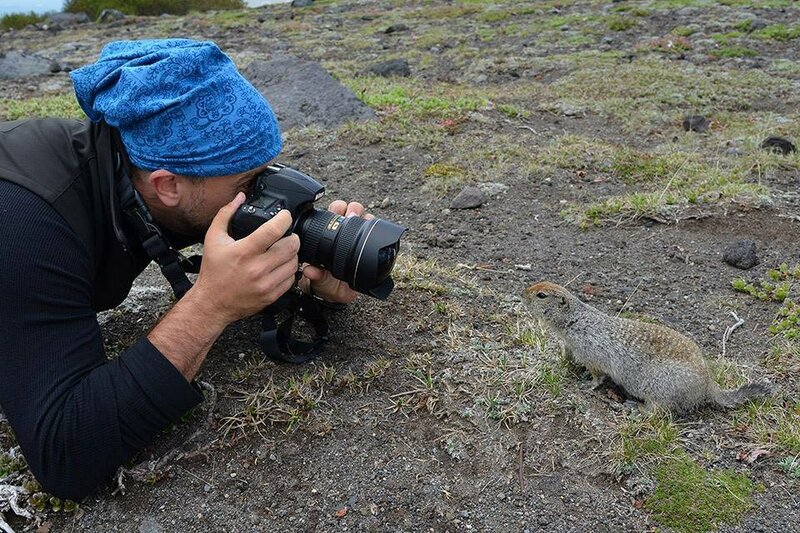 "I've never counted the times I've been to Kamchatka and Chukotka. Must be over 25 in total, and at all times of the year. I've stayed in a mobile tent-like home called a yaranga when it was -25 degrees C° outside, and I've travelled on skis in the spring." Once, Steffen had to spend the night in a tent on Yttygran Island close Whale Alley, an ancient sanctuary of Eskimo people. The place was still covered with snow. "There are moments like these when you feel how magical the place is. It's you, the sky, outer space and nothing else. A bear came, however, to walk around the tent the whole night. There was no sleep that night." Steffan says that he respects the bears, not fears them - something he has learned from the locals in Chukotka and Kamchatka. "This year, we could see over 200 polar bears at one time. It's unbelievable, a once-in-a-lifetime experience. 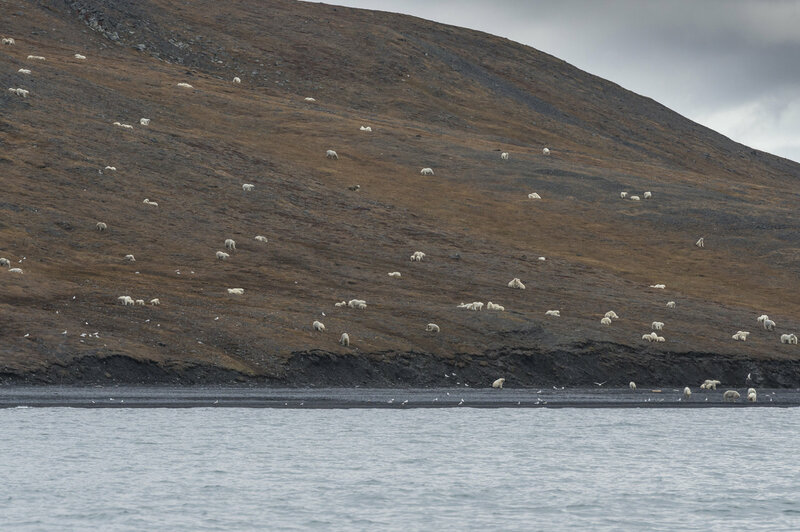 Even Nikita Ovsyannikov, a researcher who has spent 37 seasons on Wrangel Island, had never seen it before. A bowhead whale had washed ashore, and the bears were coming one after another to treat themselves to the carcass, with no squabbling over who gets the best bits. There were lone bears, and females with cubs. Bears are very smart and sociable. And in just that one day we saw one percent of all their entire population on Earth." With its cold temperatures, winds, icebergs and clear sky, the Arctic is an unexpected treasure trove of warm encounters. As one polar explorer said once, "The best people have all gone to work in the Arctic". 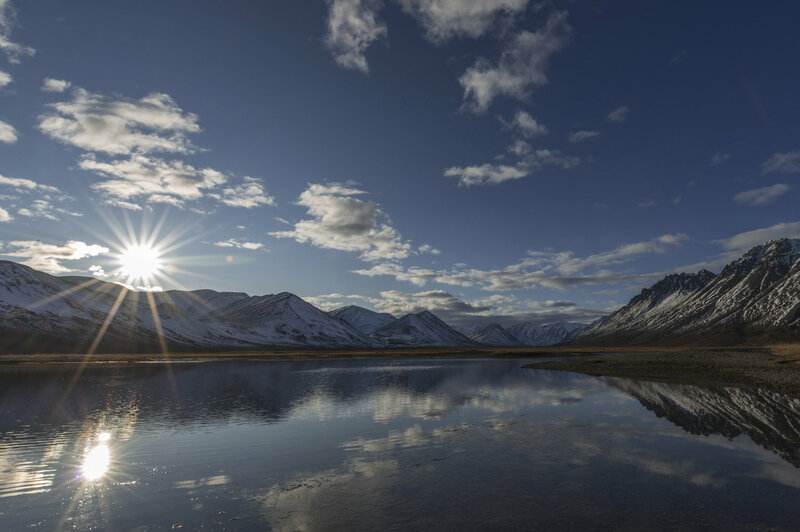 The high latitudes, harsh climate, the very simply way of life, and the almost complete absence of cell phone or internet connection at times can bring even complete opposites together. This is a place where trust is expected. 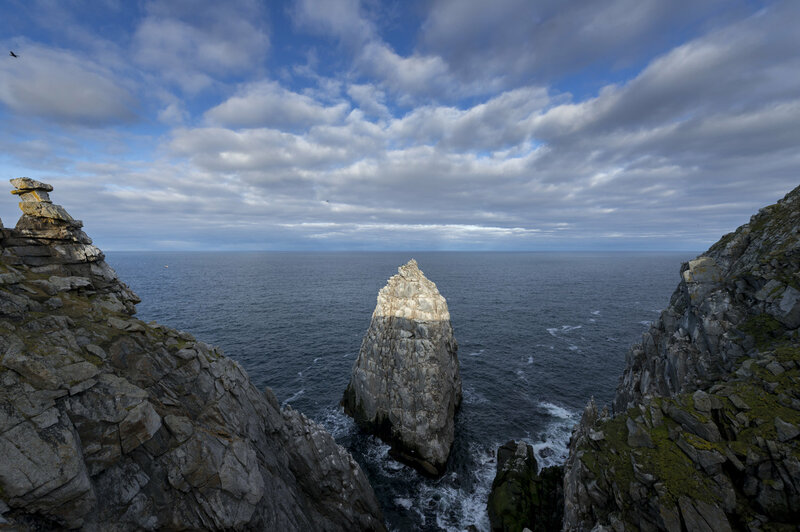 Meteorologists, polar explorers, researchers, tour guides, national park rangers, and all those who have for many years navigated the same routes along the northern seas are one multi-ethnic family. It was the people that struck Steffen the most in Russia's North and in the Arctic: "I've never seen such openness and willingness to help". "In big cities you see hundreds of people every day, but none of them cares for you or looks at you. Everyone is minding his or her own business. The Arctic is different. There are very few people living there but each one is open, full of ideas, unique and courageous. You can trust them, and they trust you. People lead simple lives here. The people of Chukotka have changed me. I've seen how little they need in order to be happy. They only use what nature gives them. They use it to sew clothes, make food and build houses. They don't need the internet or apartments with amenities." 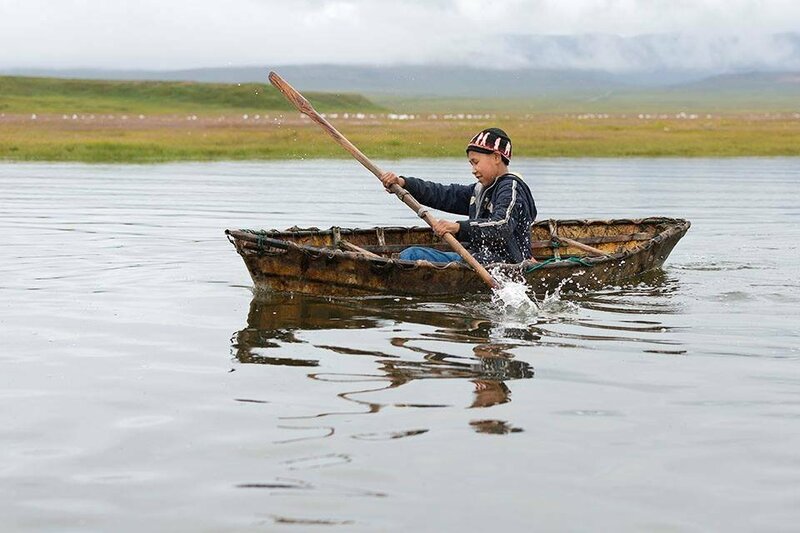 Once, the New Zealand tourist firm that employs Steffen took a 12-year-old Chukchi boy named Vova from the Eskimo village of Novoye Chaplino on their expedition to Wrangel Island. It is a tradition of the firm to help the children of locals to discover the beauties of their land. "At school, Vova was a poor student who did not like to read much. One might think that he wasn't very sharp, but it wasn't like that at all. Russians have a lot of jokes about the Chukchi that depict them as slow-witted and dumb. They are not slow or stupid, just different," Steffen says. 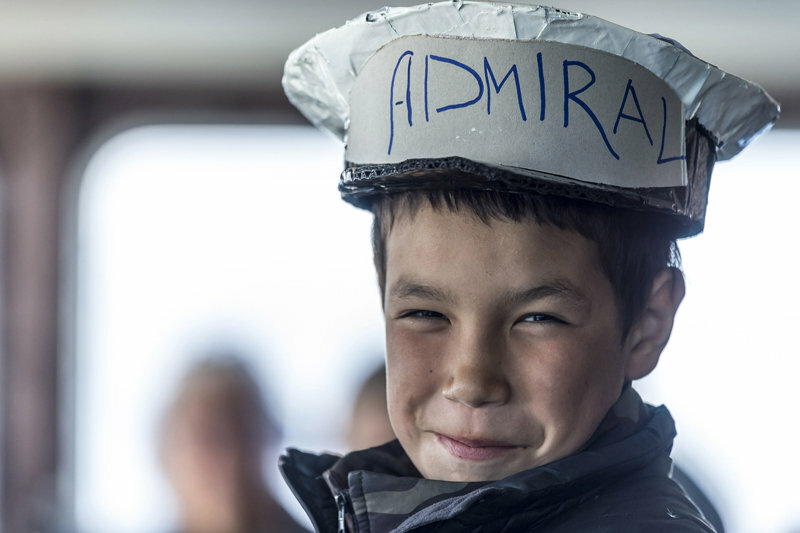 On the ship, Vova was given an entire room of his own to make him comfortable. However, it was quickly discovered that the boy was a stranger to living alone. Family is the mainstay of the Chuckchi way of life. "I was surprised to see such a reaction as we, non-Chuckchi, tend to seek autonomy. Every teenager would want to have a room all to him or herself. Everyone is on his or her own. 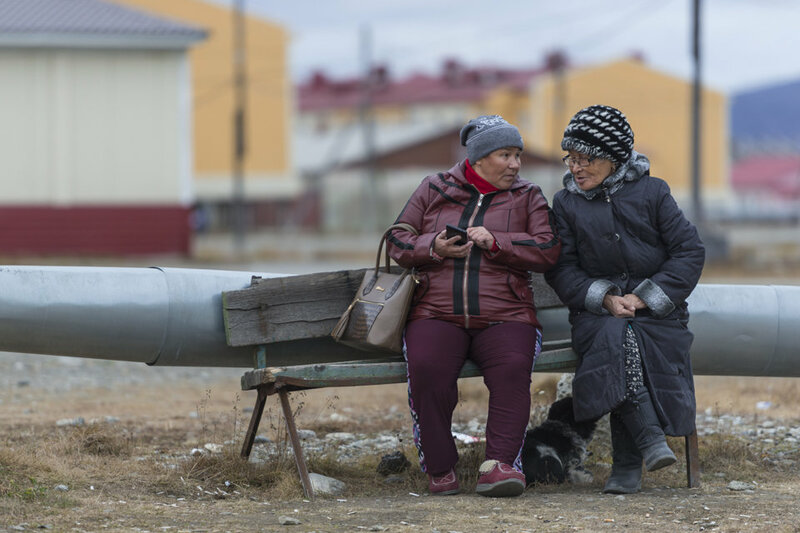 Yet in Chukotka, the family is a world in itself, a separate community. The family is of very high value. Vova taught me that," Steffen says. Granny Olga lives close to Pevek in a yaranga tent. She is fond of guests and enjoys telling stories about her life. For Steffen, Olga is central to his travels: "Olga has beautiful hands. Only a person who has worked hard and honestly can have hands like that. Her face with its multitude of wrinkles is remarkable, too." Granny Olga doesn't know how old she is. 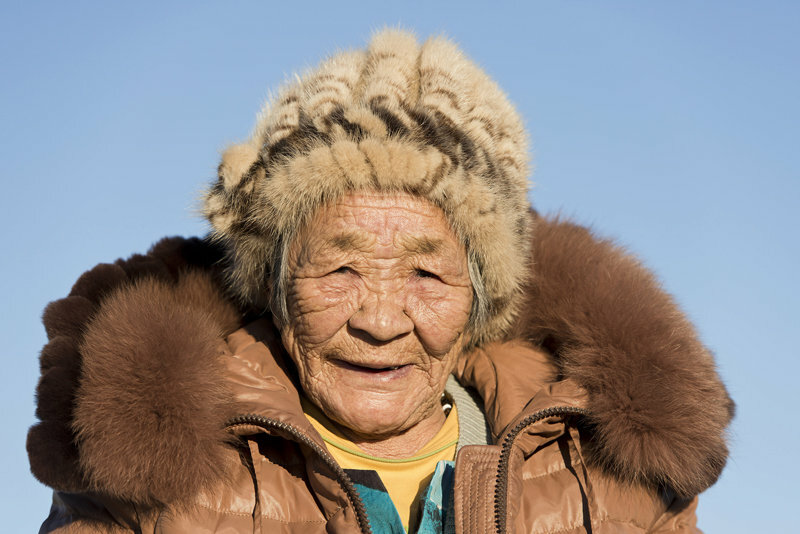 All she has to say on the matter is that the Chukchi care far more about the day of their birth rather than the year. 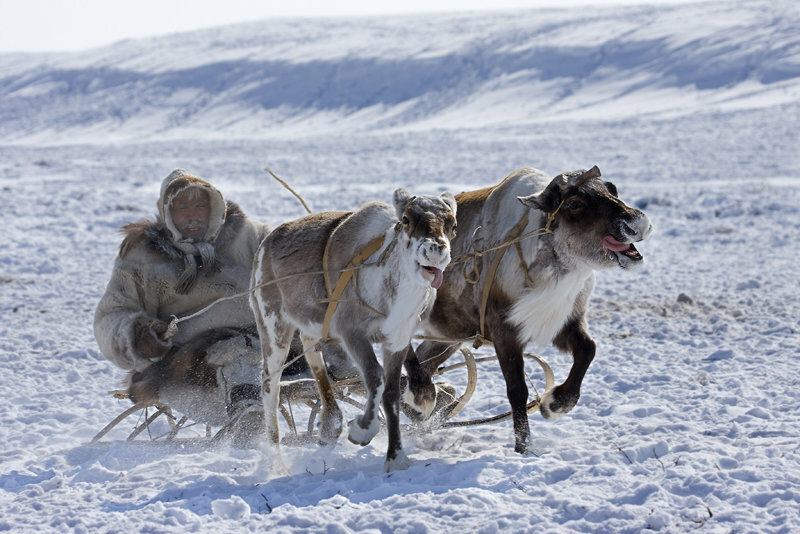 "Olga's tales of Chukchi traditions made me think that we tend to overcomplicate our life. 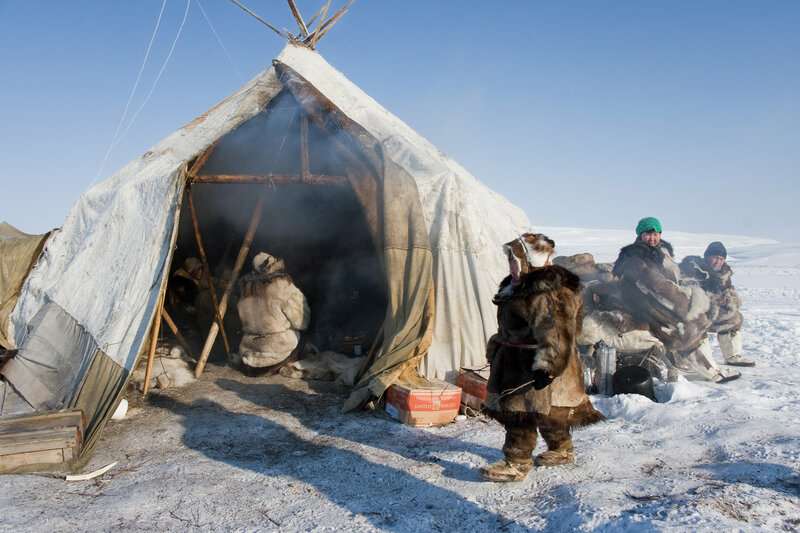 For instance, if a Chukchi boy and a girl would want to marry, all they would do was hang a sheet to make a private space for themselves in their parent's tent. After that, they were considered man and wife. It can be that simple. If two people want to be together, they don't need permits or papers, only a desire to be together. One of the Arctic's lessons is not to create problems where there are none," Steffen says. 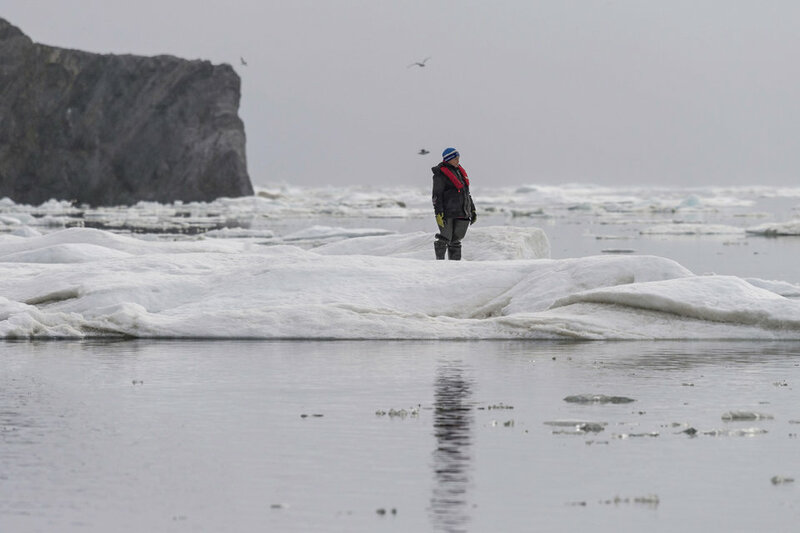 "The Russian Arctic has been changing both for the worse and for the better. Many polar stations are in a poor state. If you know just a little bit of Soviet history, you know that there was a period of Arctic settlement and exploration. From the 1930s until the late 1950s, the Arctic was full of people, when stations were built and research was carried out," Steffen says. 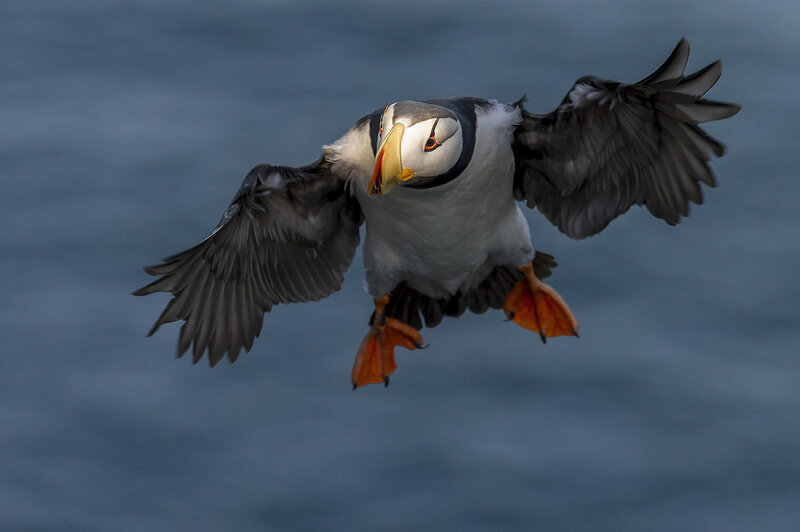 He has friends at Wrangel Island and Franz Josef Land, and has traveled the Northern Sea Route four times. "When you watch archive footage and compare it to what there is now, it makes for a sad spectacle. What you see now is dilapidation marked by shattered windows, scattered tools, books, plates or cups strewn on tables, as if people had simply vanished many years ago. There are places, however, where everything has changed. Take Tikhaya Bay for instance. In recent years, the polar station there has been cleaned up and is being repaired. There one can find people who love the Arctic and want to work there. And I want to be among them," Steffan says. The German researcher prefers Russia's Arctic to Alaska or Spitsbergen. "These areas are also in the Arctic, but there is a big difference: they haven't touched my heart. It's all very organized and clean there, as if you were in a zoo. The Russian Arctic is real and it is wild. When I'm there, I myself feel almost like a Russian."